MABAS Division 3 Box Alarm 2nd Level on Box #21F-625 for an apartment fire at 1:59 p.m.
Command reports a 4-story courtyard building 100x200 with a fire on the first floor with a hoarding situation. Four lines on the fire -- report edby 2:39 p.m.
Fire is knocked and under control, primary and secondary searches are negative, companies are working and holding to the 2nd Alarm by 2:39 p.m.
MABAS Division 5 Box Alarm 2nd Level on Box #5-784 for a fully-involved house fire. Report of burn victims at the scene. Hebron E851 moved up to the scene for a burn patient. EMS units requested from Division 103 for a "couple of burn patients" about 4:05 p.m.
One patient waiting for an ambulance at the Big Foot Inn. Harlem-Roscoe ambulance also assigned to the scene. Capron Rescue auto aid unavailable. Struck Out at 5:14 p.m. on orders of 703. Crash with injuries and a car fire. E15 crew on arrival reports smoke showing from the left-front of a vehicle. BC15 reports crews had a car fire with a person trapped with the fire out and the person extricated. Patient extricated by 7:46 a.m.
MABAS Division 24 Box Alarm on Box # for a rolled over railroad tanker on its side in the railroad yard. MABAS Division 2 Box Alarm on Box #2-211 for a structure fire at 5:52 a.m.
Report of a fire at Spring Street KinderCare. Activated alarm then restored to trouble with a passerby reporting flames and black smoke showing from the back of the building near the playground area. South Elgin police on arrival report the south side of the building is engulfed in flames. E21 crew on arrival reports they're at the southwest corner of the building with heavy fire showing -- need a second engine (E22) to go to the front to hit the building from the outside. Box level requested by 5:42 a.m.
Fire getting up into the attic by 5:43 a.m. -- commands needs a line to the rear. E21 is C group; Elgin E4 suppression group assignment. E22 ready to make entry at Side A by 5:47 a.m.
Fox River Engine is assigned RIT at the A-Side of the building by 5:49 a.m.
Utilities (ComEd and Nicor) requested by 5:51 a.m.
2ND ALARM request 6:03 AM. STRUCK OUT BOX ALARM 2ND LEVEL at 7:22 AM. SPECIAL: Rutland-Dundee Township FPD "Support Team"
Report of a person hit by a tractor and then unresponsive under the tractor. Lake County Coroner requested to respond to the scene about 1:50 p.m.
BC32 requesting Countryside Engine and Barrington Ambulance by 1:51 p.m.
Report of a female patient ejected from a vehicle. Reported as MABAS Division 12 Box Alarm on Box # for a crash at 2:29 a.m.
E93 crew on arrival reports they are at 138.75 an not sure how many cars or patients at 2:20 a.m.
BC94 reports two vehicles with heavy damage; working on triage by 2:22 a.m.
BC94 requests an ambulance box and holds the chiefs by 2:26 a.m.
Command reports one DOA and three Advanced Life Support patients. All patients transported Level I Trauma Center Advocate Good Samaritan Hospital. Report of a scaffolding collapse at a 31-story high-rise. BC1 on arrival reports that high-rise scaffolding is on the ground, but no injured people are seen in the area. Crews are investigating. BC1 reports it appears that nobody is injured. BC1 reports E1 and SQD1 checked the roof and determined that someone had been stuck near the coping and one worker helped another worker off the edge prior to arrival of firefighters. Police pursuit with crash with injuries. Crash into light pole after speeds in pursuit reported up to 65 mph. Foot pursuit after crash with suspect described as a male/Hispanic wearing a green T-shirt and green sweatpants. Passenger unresponsive after hitting windshield in crash. Report of two people unconscious in a white Camaro on Fremont Way at Franklin Lane. Crew on arrival reports they are in a vehicle near the clubhouse. 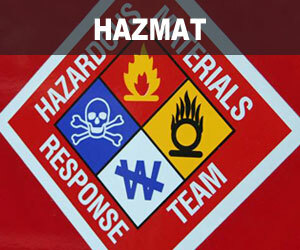 Second ambulance requested by 3:55 p.m.
MABAS Division 10 Box Alarm on Box # 21-997 for an unknown hazardous material. CFD E107 requesting a 10-1 at 11:25 a.m. for a person that threw a rock at Chicago fire personnel. Police on the scene by 11:27 a.m. with A53 and 4-4-11 en route. E107 reports the suspect is in custody. 2-1-24 reports A45 is transporting the (fire) officer in good condition to County. E107 crew will remain on the scene and complete the police report by 11:42 a.m.
Report of three Amtrak cars derailed at 1400 South Lumber St.
2-1-9 reports the train is about two blocks north of Roosevelt Rd at 1100 South Lumber St.
Amtrak is reporting no injuries at 11:15 a.m. ... then a request for an ambulance for a male/adult. The Still and Box was struck out and the EMS Plan 1 was secured by 11:27 a.m.
Reported as a truck crash with the driver pinned in the truck. E106 crew on arrival reports the cab is hanging off the overpass, and it's on fire at 8:13 a.m.
E91 crew on arrival reports they're on the scene at the overpass to Kimball Ave at 8:16 a.m.
FC452 reports the truck is outbound. BC7 reports the cab went over the top and onto Kimball below. The driver is not pinned, and is out of the truck. Requesting one ambulance below. Lanes 3, 4 and the right shoulder blocked. BC7 requests a Level I Hazmat for leaking fuel at 8:21 a.m.
BC7 report the cab of the truck is hanging over with companies in the process of lifting it up by 8:27 a.m.
5-1-2 assigned down on Kimball Ave.
BC7 reports one patient transported one patient to Level I Trauma Center Illinois Masonic Medical Center. Police and firefighter/paramedics responded to a report of a rollover crash with injuries on southbound Route 53 just south of Kirchoff Road, but the crash was actually just south of Euclid Avenue, just south of the ramp from eastbound Euclid Avenue to southbound Route 53. Several people stopped to help, and may have helped a woman out of the overturned vehicle before firefighter/paramedics arrived. A witness reported one adult female may have had a minor or injury or was not injured. Report of a truck fire. Full still requested by 9:45 a.m.
Holding up the working fire response; keeping the first 2 trucks and first 2 engines. BC3 reports a 3-story factory, 200x200; semi-trailer truck next to the building. Investigating the building. Fire is out; fire is under control by 9:52 a.m.
Crews extricating a pedestrian under a semi-trailer truck. Victim extricated by 9:42 a.m. Scene is designated a crime scene. MABAS Division 5 Box Alarm on Box #5-30 for an apartment fire. Report that it looks like a balcony is on fire at 3:16 a.m. -- initially no automatic fire alarm was activated. Police on scene reports he some some smoke and then reports he sees flames. Police reports seeing fire through the roof; command requests a Box Alarm on that report. 400 on arrival reports two porches well-involved. E432 assigned to hit the fire with the deck gun. Apartment building with 12 units involved with fire with multiple handlines working and two ladder trucks working with their mains up ... active fire still ongoing at 4:18 a.m.
Police on scene report the left lane is blocked, and confirm driver in rollover vehicle is trapped. One female patient transported Basic Life Support to Northwest Community Hospital. Report of a basement fire that is fully engulfed. Police on scene at 2:46 a.m. report smoke showing and all occupants out of the house. Crew on arrival reports heavy smoke showing by 2:49 a.m.
E322 crew reports a fire with a walkout basement with access to the basement fire and an open garage by 3:01 a.m.
Second line to the front door by 2:57 a.m.
BC32 reports a basement fire that has commuted to the first floor with heavy fire showing from the first floor windows on the A-Side of a 2-story wood frame by 2:54 a.m.
Water on the fire by 2:54 a.m.
MABAS Division 4 Box Alarm on Box #32-A1 for a house fire at 3:18 a.m.
Command reports fire under control with all companies working, primary search underway by 3:38 a.m.
Primary search complete all clear, all companies working, working on secondary search and beginning overhaul by 3:41 a.m.
SQD33 crew on arrival reports multiple vehicles involved with moderate damage. Report of a crash with injuries on Route 21 south of Route 60. Report of a rear-end crash with injuries involving two silver vehicles on westbound I-90 east of Sutton Road. The crash was located in the westbound traffic backed up from the first crash that occurred about 10:17 a.m. Crew on arrival reports entrapment second ambulance and engine requested by 11:24 a.m..
A21 assigned to the first patient in a silver car about 11:27 a.m.
E22 crew assigned to help with A21's patient. Patient extricated from second vehicle by 11:35 a.m.
Report of a crash with injuries with a person pinned. MABAS Division 5 Box Alarm on Box #5-950 for a multiple-injury crash at 10:24 a.m. Boy, age 3, killed and three people injured. Report of a car vs semi-trailer truck crash on westbound I-90 west of Beverly Road -- immediately updated to an accident with entrapment. Crash was actually east of Beverly Road. Crew on arrival reports a semi-trailer truck crash with a car that is half crushed. Crew reports two patients with one patient entrapped. Patient extricated by 10:25 a.m.
MABAS Division 1 Box Alarm on Box #2 for a structure fire (apartment fire). Crash involving two vehicles and a light pole down with injuries, and possibly a pedestrian hit. Second ambulance request prior to arrival of fire crews. Report that the pedestrian walked away southbound. A26 assigned to the black car. E26 crew on arrival reports one vehicle on a light stanchion, power line down(? ), and two vehicles with heavy damage. Vehicle stabilization for patient removal with no entrapment on one vehicle by 1:00 p.m. Unknown number of patients transported; multiple refusals. No power outages reported on ComEd Outage Map as of 1:57 p.m.
Report of a fire in a 2-flat or apartment house. E38 crew on arrival reports reports a fire in a 2-story ordinary. BC14 reports a 2-story ordinary, 25x20 with a fire in the rear porches, main to the roof and all companies working by 1:06 p.m.
BC14 reports he needs a Deputy Chief for a light pole that just fell on his buggy. Report of a fire in a restaurant storefront at The Elephant Thai Cuisine. E79 crew on arrival reports they're eastbound with some smoke showing. E79 reports a truss roof. E79: "EMERGENCY give me a box for a truss roof" at 8:38 p.m.
E79 crew warns companies "this is a truss roof" with fire through the roof. 5-1-5 puts himself on the Still and Box by 8:40 p.m.
BC11 reports companies going defensive, all companies are PAR with fire through the roof at 8:41 p.m. -- staging area designated at Devon and Central at 8:41 p.m.
BC11 assigned SQD2 to the A-D corner with E119 feeding SQD2. BC11 reports the building dimension as a 1-story truss, 20X50, exposures on either side, no extension to the B-side, no extension to the "C-side" ... smoke showing from the C-D corner. BC11 reports knocking down some fire in the grease chute, and looking for extension beyond the grease chute by 8:49 p.m.
2-7-2 reports three storefronts with fire in a grease chute in a middle restaurant, 60x100 ordinary construction with a bowstring truss with one line on the fire and companies pulling ceiling by 8:59 p.m. STRUCK OUT AT 9:28 p.m. on orders of 2-2-2. Primary and secondary search are complete and negative, and companies are in final stages by 9:29 p.m.
Notifying health department since fire involved a restaurant -- at 9:50 p.m. Final search complete and negative, all companies in process of picking up. Extension summary at 5346 and 5344 West Devon Ave.
TRUCK(S): T55 T ?? TL ?? Crash with injuries. Police-involved crash involving an Elk Grove Police Department SUV. Car vs Pole crash with extrication on Route 176 between Fairfield Road and Hawley Street. Crash appears to be on curve near Davis Lake in Lakewood Forest preserve. BC34 on arrival reports a car vs pole crash with heavy damage, warns A341 crew to be alert for wires down. Confirming extrication at 10:17 p.m.
BC34 requests Countryside Engine for mutual aid assistance for extrication and Flight for Life on standby by 10:18 p.m.
Engine for Landing Zone requested, and request for Flight for Life in the air by 10:22 p.m. -- E342 assigned. Flight for Life replies with a 15 minute ETA by 10:23 p.m. Landing Zone designated at the Dog Park at the northeast corner of Route 176 and Fairfield Road by 10:27 p.m.
Countryside E411 assigned to assist with extrication by 10:28 p.m. Flight for Life Canceled after patient pulse not detected by 10:29 p.m.
E342 re-directed to Station 1. Westbound Route 176 backed up to Hawley St.
Lake County Coroner called to the scene. BC34 reports status at 10:53 PM: Continuing extrication with the scene turned over to Lake County Sheriff and Lake County Coroner. Large power outage southeast of crash scene -- unknown if connected to the crash. ENGINE(S): E342 Countryside E411 E ?? Report of a fire at 65th St and Wolcott Cul de Sac. E116 crew on arrival reports they have a fire. T41 reports a police officer down at 6010 Artesian; and T20 remains the RIT truck instead of T41 -- ambulance crew meeting T41 crew and treating police officer. BC19 reports a 1-1/2-story frame, 25x50, rear oprches on fire going up, company in the attic (), two lines led out, primary search underway(? ), main going to the roof, and ground ladders raised by 6:56 a.m.
T50 assigned to bring a 20' ladder to the front of the building and a 35' ladder to the rear of the building by 6:56 a.m. Secondary search complete and negative in the basement, 1, 2, and attic by 7:01 a.m.
Fire under control; wash down and overhaul underway by 7:03 a.m.
Human Services for 7 adults and 5 children. Final search complete and negative by 7:18 AM. MABAS Division 4 Box Alarm on Box #26-1 for a house fire. Box Alarm struck out by 7:32 p.m.
MABAS Division 7 Box Alarm on Box #60-300 at Liberty Intermediate School for multiple ill people. A majority or all of the people at Liberty Intermediate School were transferred from the Noel Levasseur Elementary School incident at occurred about 1:49 p.m. Crash unknown injuries involving a school bus on southbound Butterfield Rd south of Townline Rd. Crews becoming available by 3:23 p.m. Apparent minor or no injuries. Ambulance requested for Change of Quarters at 3:28 p.m.
Report of a fire in the walls of a home reported by the contractor. SQD421 crew on arrival reports nothing showing from the outside by 2:00 p.m. Someone reports it's smoking up. BC42 reports a 3-story wood-frame construction; assigns SQD421 to fire attack. Water on the fire by 2:05 p.m.
General Alarm crew callback by 2:10 p.m.
MABAS Division 7 Box Alarm (2nd Level) on Box #60-300 for a Carbon Monoxide leak at Noel Levasseur Elementary School. E98 crew requests a truck and a Battalion Chief for a CO level of 200 ppm on the 8th floor of an 8-story office building. E98 reports the culprit is a gas operated motor from a welding company by 12:07 p.m.
Level I Hazmat on orders of 2-2-1 at 12:11 p.m.
E98 requesting fans from T3 to ventilate the building. E98 is evacuating starting at the 8th floor and is down to the 7th floor by 12:12 p.m. Report gas motor CO was coming from the basement. READINGS CO 200 PPM on the 8th floor. BC1 reports CO levels are dropping, but requests a Level II to assist with evacuation and to bring extra fans. T2 assigned to bring fans to lobby by 12:22 p.m.
BC1 reports a CO reading drop to 62 PPM as firefighters move down to lower floors by 12:25 p.m.
Holding the DE-CON van by 12:28 p.m.
Fire companies are on all floors with CO levels coming down with fan ventilation and windows open. Primary and secondary search completed on all floors by 12:42 p.m.
Police arrive to find a vehicle smoking after hitting a pole. BC6 warns other units to be cautious for a herd of deer in the area. Crew on arrival reports the crash is in the southbound lanes of Route 59 north of Higgins Road. E24 reports a car off in the ditch -- out investigating. T22 crew on arrival reports no entrapment and patient is out of the vehicle for assessment. A ?? transported one patient to Level I Trauma Center Advocate Lutheran General Hospital. Second ambulance requested for an injured Cook County Sheriff deputy at 1:00 a.m.
Report of a crash with entrapment in front of the Northwest Community Hospital Treatment Center. A54 crew on arrival reports no entrapment. A54 requests a second ambulance -- A53 assigned. TRAIN DERAILMENT WITH HAZMAT AT ROUTE 41 AND DEERPATH RD, LAKE FOREST -- "NO HAZARD"
As of 5:35 a.m. there is no information about the hazardous material or materials the train was transporting. All rail cars are tankers. The Hazmat team assessed the situation and concluded there was no hazard by 5:43 a.m.
Hazmat Tech Box Alarm Struck Out at 5:43 a.m.
Report of a restaurant fire. BC7 reports a 2-story ordinary, 50x40 with a little smoke showing from the second floor. BC7 reports one line on the second floor, chasing a fire on the second floor in the wall by 7:52 p.m.
Fire is out, Primary and secondary search are complete and negative, final searches underway, companies in process of overhaul by 7:54 p.m.
ground ladders on Side A and B; chasing the fire that looks like and electrical fire between the first floor and the second floor at 7:58 p.m.
Human services for two adults and two children. A3 transporting one injured firefighter to Community First. MABAS Division 8 Box Alarm on Box # for a garage fire. Bus crash into rear-end of dumpster transport truck with bus driver entrapped. E84 needs SQD5's Hurst tool at the front of the bus for about 4 people trapped at 10:54 a.m.
SQD5 available by 11:20 a.m.
12 Patients transported: 9 green and 3 yellow transports, with an additional 1 refusal per CFD media. Report of a multi-injury, multi-vehicle crash. Reports that the reversals are backing up -- companies might have to work over the wall. E35 CREW ON ARRIVAL REPORTS they on the scene at the inbound Kennedy Expressway and are blocking right at the entrance to the Division Street exit ramp -- looks like there are about 10 cars involved. E35 crew estimates 20 to 25 cars crashed in the express lanes by 10:35 p.m.
E35 requests a Battalion Chief to the scene by 10:36 p.m. -- BC3 assigned. 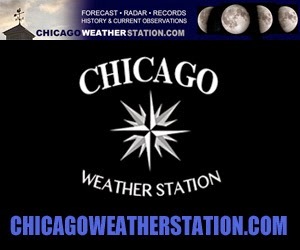 A62 requests an EMS Plan 1 on inbound Kennedy Expressway about 1600 North (North Avenue) at by 10:39 p.m.
E35 requests one additional apparatus to help block expressway lanes -- E30 assigned. BC3 advises companies need to enter the expressway at Armitage. Companies aren't supposed to enter express lanes, and will be working over the west wall. BC3 reports 25-30 cars have minor to major damage at 10:47 p.m.
Officials report the incident involves 48 vehicles. Lanes re-opened about 2:00 a.m.
Crews targeting an area south of the clock tower. Helicopter delayed due to weather. DEPUTY DISTRICT CHIEF (SCUBA) 6-8-6 reports the incident will be a recovery operation with a police marine unit handling. Holding and returning all companies, except 6-8-7. MABAS Division 4 Box Alarm on Box #34-B-1 for a fire at a vacant nursing home "Sheltering Oak" on orders of BC34. Fox River Grove A657 due on the Still Alarm. McHenry Truck backing in an raising their main about 12:13 a.m.
Command requesting a Second Alarm at 12:34 a.m. and holding up Air 5. Arlington Heights Fire Department ambulance requested for Change of Quarters to Mundelein at 1:44 a.m. -- A4 assigned. Command requesting a Third Alarm at 12:51 a.m. -- requesting only engines from Algonquin and Countryside. Report of a crash on the left shoulder. Police on the scene report a pin-in crash. Initially reported as a person with a medical problem. Police on scene report a crash with entrapment. E62 crew on arrival reports three cars spread out with one care requiring a door popped. Three medical refusals north of the crash site. Extrication complete by 9:54 p.m.
ENGINE(S): E62 E 61 E ?? EMS: A62 A61 A ?? Auto into a Barber Shop/Hair Styling Shop. Reported as 7101 West Belmont Ave Chicago. BC11 reports extensive damage to the front of the building and requests SQD2 back to the scene. Immediate response from the Building Department also requested. One patient transported Code Yellow to Community First. Report of a car crash into a building. Crew reports an auto into a 2-story apartment complex. Report of a forklift that is leaking propane gas and continues to leak propane gas. Report of an apartment fire on the 7th floor. Fire investigative team reports there is a stove fire in an apartment with medium smoke conditions in the hallway. Fire is out by 10:30 a.m. with light smoke conditions in the hallway by 10:30 a.m. STRUCK OUT AT 10:34 AM on orders of 2-2-1. EMS PLAN 1 SECURED AT 10:35 AM on orders of 2-2-1. All searches in both stairwells top to bottom complete and negative by 10:40 a.m.
Report of people trapped on the second floor of a house. T27 alerted to the possible trapped people on the second floor. BC225 reports a fire in the attic, primary search underway by, ground ladders on Side A and B, three lines on the fire by about 11:01 p.m.
Fire is out on the first floor; having trouble finding the stairwell to the attic by 11:06 p.m.
Primary and secondary search are complete and negative on the first and second floor, crews making entry into the attic by 11:10 p.m. Secondary search complete and negative on the first floor and basement, secondary search underway, fire is out, overhaul underway by 11:20 p.m.
Primary search complete and negative in the attic, secondary search underway, two ground ladders on Side A, one ground ladder on Side B, and main to the roof. STRUCK OUT AT 11:15 PM on orders of 225. BC12 reports a 3-story ordinary, 40x150. E78 has a line to the rear. BC12 reports ground ladder on Side B.
BC12 reports fire is out by 5:25 p.m.
BC12 holding up the extra companies; keeping one ambulance. Two people extricated by 5:15 p.m. -- neither person injured. SQD1 held up by 5:15 p.m.
E42 crew reports they're in the area of Macy's with nothing showing. E42 crew on arrival reports smoke showing on the 6th floor. BC1 reports a little haze coming from a 6th floor vent. Situation secure by 11:33 a.m.
Companies returning, except for E42, T3, and SQD1 by 11:33 a.m.
BC1 reports visible smoke was caused by cooking smoke from an exhaust on the 7th floor. Report of a head-on crash with a car fire. Police on scene report by 6:12 a.m. fully-involved vehicle with everyone out of the vehicle. FIre involved the engine compartment and the passenger compartment. BC9 on arrival reports two vehicles with heavy damage and one vehicle on fire by 6:13 a.m.
Second ambulance and another engine requested to the scene by 6:14 a.m. -- Bristol-Kendall assigned. Command reports a working extrication by 6:15 a.m. -- apparently on the car that was not involved with fire. ComEd utility pole also hit -- ComEd requested to the scene. Montgomery engine change of quarters (unavailable). M143 transported one patient to Rush Copley Medical Center, and M951 transported one patient to Presence Mercy Medical Center in Aurora -- both ambulances left the scene by about 6:39 a.m.
Appears that southbound lanes of Ashe Rd are still closed at 8:50 a.m. just north of Baseline Rd. Lanes appear to be open by 9:10 a.m.
Report of a pin-in crash with injuries. E108 eastbound on Carmen Ave. Person extricated by 12:15 a.m. -- SQD2 returned. Report of a fire in a bedroom on the second floor with all residents evacuated. E45 crew on arrival reports nothing showing from three divisions by 6:37 p.m.
E45 crew on arrival reports a fire on the second floor bedroom with E45 leading out with a line through the front door up to the second floor. Command reports a small bedroom fire with fire out by 6:44 p.m.
All auto-aid companies returned by 6:47 p.m.
General Alarm struck out by 6:48 p.m. Lanes cleared by 11:15 p.m.
Report of a fire at a storefront church. Crews on arrival discover there is a van on fire in back of the building. No fire damage to the property. BC18 and T32 on the scene eastbound by 9:38 p.m.
BC18 reports a 1-story ordinary storefront church, 50x125 with heavy smoke showing from Side C.
BC18 reports a van on fire in the alley behind the church. Fire in a mixed occupancy building. BC8 reports fire under control by 2:49 p.m.
Holding up the command van, releasing RIT, and holding one ambulance by 2:56 p.m.
Second ambulance requested by 1:26 a.m. -- Park Ridge A35 assigned. Report of an ammonia leak at the vanilla plant at Gonnella Baking Company Frozen Products Division. Officials on scene report the leak does not appear to be spreading. A52 assigned to move up by 1:50 a.m.
BC5 reports a small ammonia leak in the engineering room. The company has their own crew working on the leak while Schaumburg remains on scene. TL21 crew rescues person of a rear deck. Fire contained to a laundry room; primary search negative. Report of a person in the water at Eleanor and Loomis -- reported by a civilian. Police on scene report a body washed ashore. BC4 reports incident is two blocks west of Loomis on Eleanor. Then 2-2-1 reports incident is two blocks north of Loomis on Eleanor -- body, right on the shoreline, is decomposing, operations will be a recovery. Holding up Helicopter 6-8-1 by 2:29 p.m. -- Fireboat E2 and divers held up too. Report of a crash with extrication. Report of a garage fire -- attached garage fire at home on Ashbury Ave.